There’s nothing like traveling to another country where the people speak another language to make you feel adventurous. Chatting with the locals is a sure-fire way to better understanding the local way of life and generally people. If there’s one thing you will surly love during your trip to Iran is its people .Iranian' interest in foreign travelers would be particular. They will be predisposed to chat to you if you are friendly and curious to hear what you are doing in their town. Cilia, our Spanish guest, was keen on chatting with locals and hopefully she relished the opportunity of chattering about Isfahan with an Iranian gentleman in Jame Mosque. 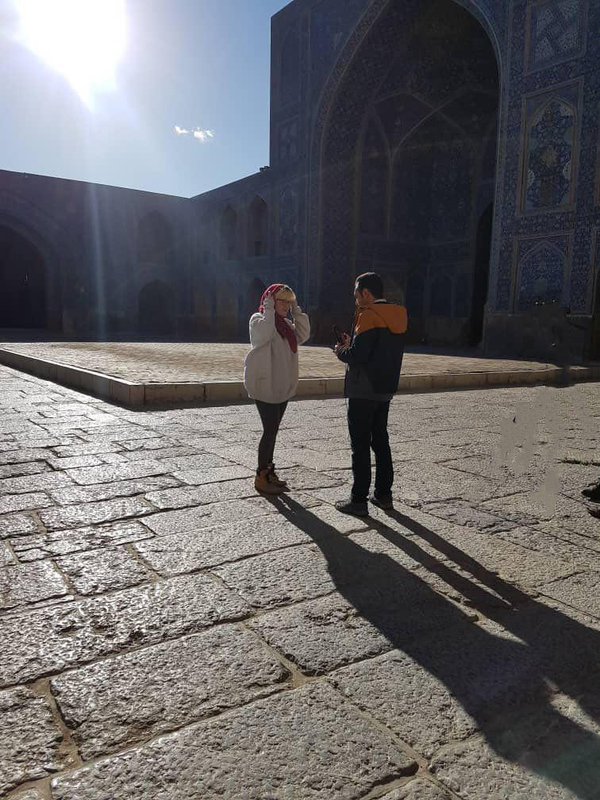 Cilia is chattering about Isfahan with an Iranian gentleman in Jame Mosque.